Tom Bellchambers has been fined for striking Dayne Zorko at the MCG on Saturday. 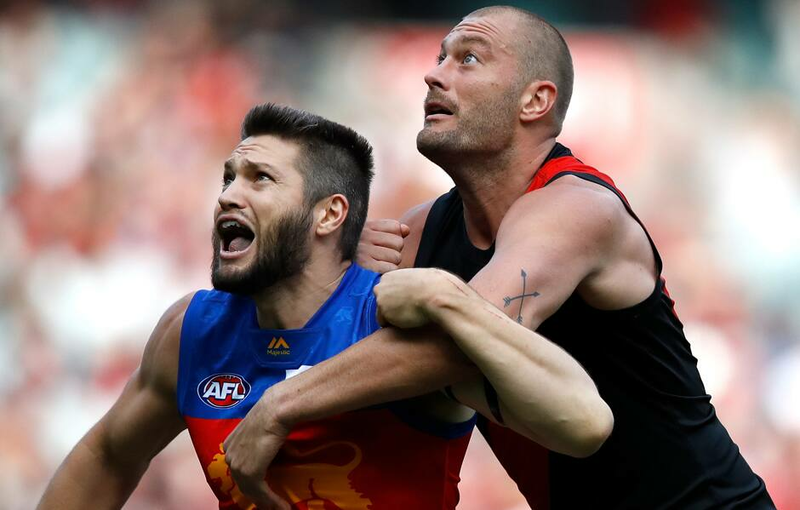 Essendon ruckman Tom Bellchambers has been charged with striking Lion Dayne Zorko during the Bombers’ defeat of Brisbane at the MCG on Sunday. The incident occurred in the third term of the match and was assessed as careless conduct with low impact and high contact. The strike was classified as a $3000 sanction, but Bellchambers can accept a $2000 sanction with an early plea.